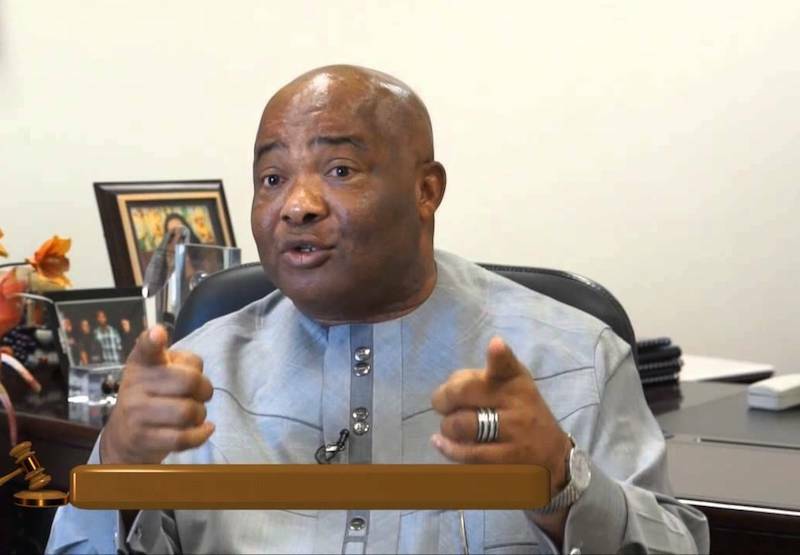 Senator Hope Uzodinma has been listed as Imo APC Governorship candidate by INEC, after an initial confusion over the authentic candidate of the All Progressives Congress (APC) in Imo State. Governor Rochas Okorocha lost out in a battle with Senator Hope Uzodinma after this development. Uzodinma’s name was published yesterday by 07:52 p.m at the INEC office along Port Harcourt road in Owerri, with Akaolisa Cyprain Okechukwu, as his running mate. This is coming after the electoral body pasted governorship names of various political parties in Imo, excluding that of APC. The name of Imo APC Governorship candidate was pasted, after a court struck out the order by Governor Okorocha’s faction stopping the name of Uzodinma from being published as the candidate of the party. Names of other candidates on the list and the parties they represent include: Hon. Emeka Ihedioha (Peoples Democratic Party); Mr. Okey Eze (Social Democratic Party); Sen. Ifeanyi Ararume (the All Progressives Grand Alliance); Brady Nwosu (Advanced Peoples Democratic Alliance, APDA); Mr. Ibe Kenechukwu (Accord Party); Mr. Linus Okorie (Young Progressives Party); Chief Ike C. Ibe (Independent Democrats); Hon. Tony Nwulu (United Progressives Party); Mr. Ngozi Oleh (All Grassroots Alliance); Mr. Ukaegbu Joseph Ikechukwu (Labour Party) and Mr. Ejike Chukwu (African Democratic Party). The list also has five female governorship candidates namely: Mrs. Joy Emeziam (GPN), Ijeoma Onwubuariri (NDLP), Mercy Adaku Ibeh (DP), Onyeka Immaculata Umunnakwe (AAP) and Mrs. Nkemjika Ahumonye Ihemadu of the National Conscience Party.